Please donate. Donate to help the “Bongo Doit Partir” (Bongo Must Go) movement help the Gabonese people get rid of a regime that does this, that allows this to happen, to its own people, to its own children. Little Catherine, murdered in October 2013. 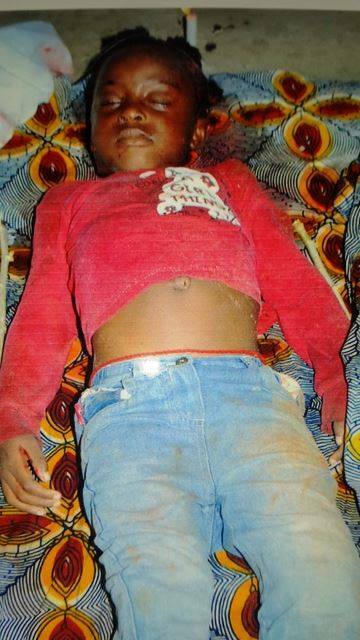 October 2013 – The mutilated body of little Catherine was found in a pool of blood in Nkoltang, a village 19 miles north of Libreville, Gabon’s capital. Her neck was cut with a machete and she was nearly decapitated. The mother testified to possible sexual mutilation that sought to remove her sexual organs. Catherine was 4 years old. Little Catherine, savagely murdered in October 2013. This death is the consequence of what is currently known in the republic of Gabon as “ritual killings”, a process whereby political figures get children, but also young men and women generally, killed and cut into pieces for the purposes of recovering body parts that are deemed mystically “powerful” enough to ensure their survival in power. Sexual organs such as penises, vaginas and breasts are among the most prized parts. Children are bearing the brunt of the cruel and inhumane practice because their body parts are considered “potent,” therefore most desirable by the animalized politicians. Please donate. Help us ensure other kids just like Catherine do not fall prey to the type of barbary currently being waged on Gabon’s children by the Bongo regime. 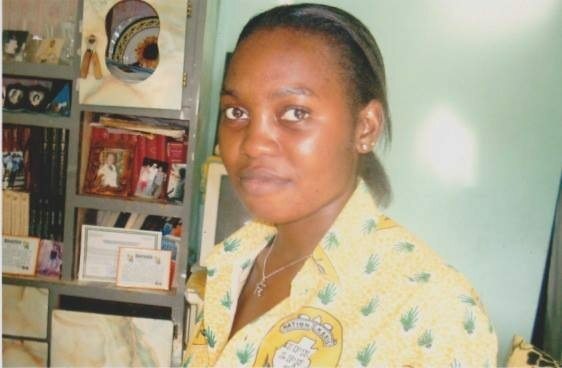 June 2013 – In Port-Gentil, Gabon’s economic capital, Stessy’s mutilated body is found in the Basile Ondimba Center, a building belonging to the family of Gabon’s dictator, Ali Bongo Ondimba. You will not believe that the young, beautiful girl above…is the same person in this horrifying picture, with her hands and feet tied. Stessy was 24. Her sexual organs, breasts and tongue were removed. Please donate. Help us ensure other young women just like Stessy will no longer fall prey to the type of cruelties currently being waged on Gabon’s youth by the despotic regime of the Bongo family. 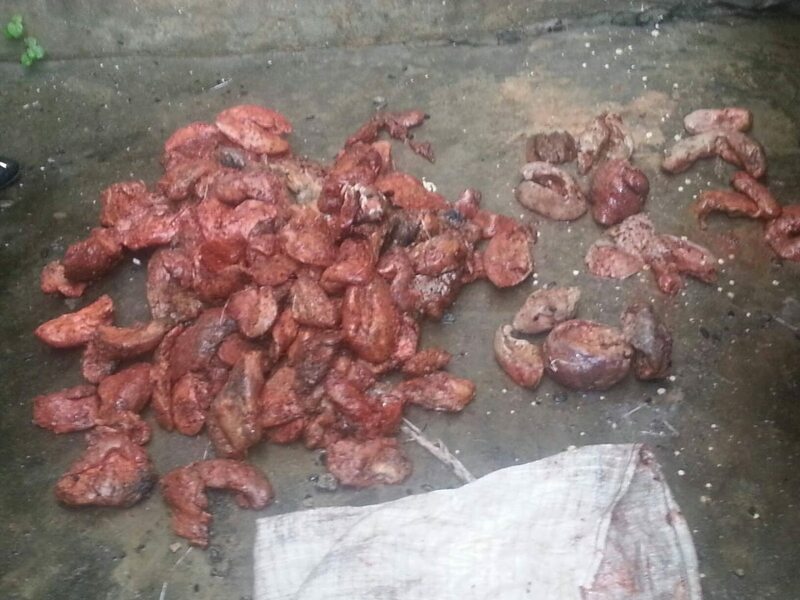 Horrific sight of sexual and other types of organs removed from unidentified victims. June 2013 – A plastic bag containing body parts, many of which were sexual organs, is found in Libreville, Gabon’s capital, suggesting there may now be a “boy-parts trade” in Gabon whereby parts cut from mutilated bodies are sold to, or acquired for, unscrupulous politicians. 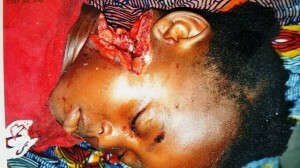 Hundreds of Gabonese women, men and children have died like this for years. In all impunity. No one has ever been arrested for these crimes. This must stop. So, please donate. 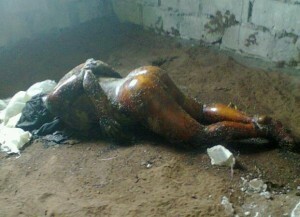 Help us ensure these types of sights are no longer seen Gabon, help us put an end to these types of crimes in Gabon. Our Goal? To travel to Gabon in 2015 to engage the Gabonese government over these heinous crimes and other human rights abuses, and work with the Gabonese people to demand immediate action.